As Britain moves towards exit from the European Union, the author warns of a trap laid by the EU and how to avoid it. “The route to Brexit is a Gordian Knot of a problem that requires an Alexandrian solution,” he writes. Brexit (British Exit) from the EU is moving up the political agenda, but few have looked at the mechanism by which it might be achieved and the problems involved. The European Union’s process of ‘ever closer union’ is fashioned like the jaws of a shark. The teeth slant backwards. Once inside the mouth the only route is onwards down the gullet to digestion. Membership of the EU has been deliberately constructed over five decades and six treaties in order to make exit from the EU near impossible. It is a Gordian Knot of a problem that requires an Alexandrian solution. Article 50 is designed to put the EU in a strong position to pressurise the would-be, leaving nation into accepting their terms of exit. This detrimental dog’s breakfast is hardly likely to be what the electorate have in mind when they vote in a referendum to leave the EU. Once the decision has been made then it is better to deliver the Alexandrian blow rather than endlessly fiddle with the strands. 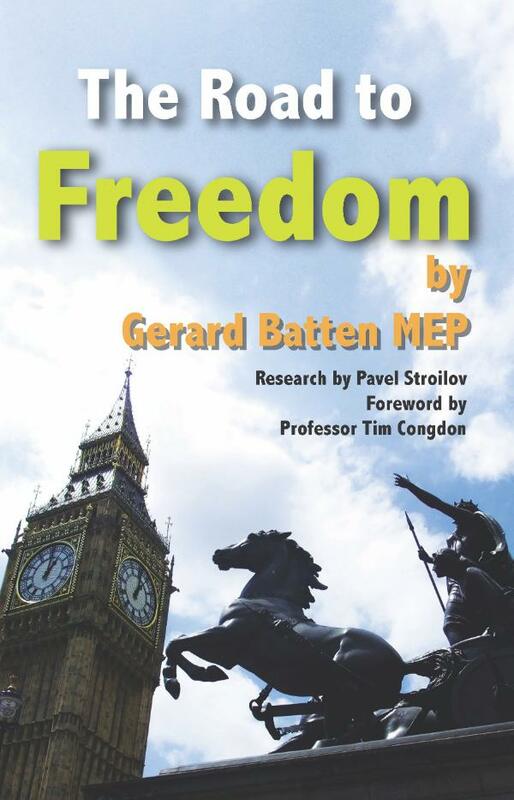 In this book senior UKIP?MEP Gerard Batten shows how the sword should be wielded to cut the Gordian Knot. Gerard Batten was a member of the Anti-Federalist League 1992-1993 and a founder member of the UK Independence Party in 1993. He was the Party’s European Election Organiser in 1994 and the first Party Secretary (1994-1997). He has served on the UKIP National Executive Committee at different times. He has fought eleven different election campaigns for the Party over the years. He was elected as a Member of the European Parliament for London in 2004 and re-elected in 2009 and in 2014. He has written extensively on such subjects as Immigration, the Cost of the European Union, and the European Arrest Warranty and the creation of a European system of criminal law.